Hailiang Education Group Inc. (Nasdaq: HLG), ("Hailiang Education" or the "Company"), a provider of private K-12 educational services in China, today announced that its affiliate, Zhejiang Hailiang Education Investment Co., Ltd.,("Zhejiang Hailiang") has entered into a Strategic Cooperation Agreement (the "Agreement") with Pate's Grammar School Trading Company, a wholly owned subsidiary of Pate's Grammar School ( "Pate's"), a well-known British mixed government school, to strengthen the competitive advantages and fast growth of both Hailiang Education and Pate's. The purpose of signing the agreement between the two parties is to provide a higher standard of education to co-operative school(s), exchange teaching methods, cultural experience as well as explore the education market in both China and the UK. Pursuant to the Agreement, Pate's will cooperate with Hailiang Education in delivering A-level and other international courses, providing education consulting services as well as launching annual exchange programs for students and faculty among co-operative school(s). 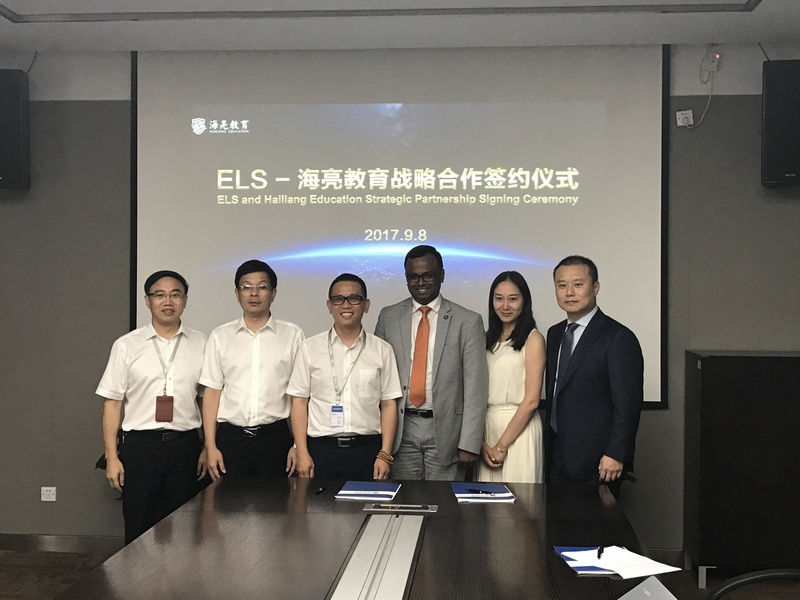 Hailiang Education Enters into a Cooperation Agreement with ELS American Education Consulting (Shanghai) Co, Ltd. to offer the ELS English for Academic Purpose (EAP)®Program. 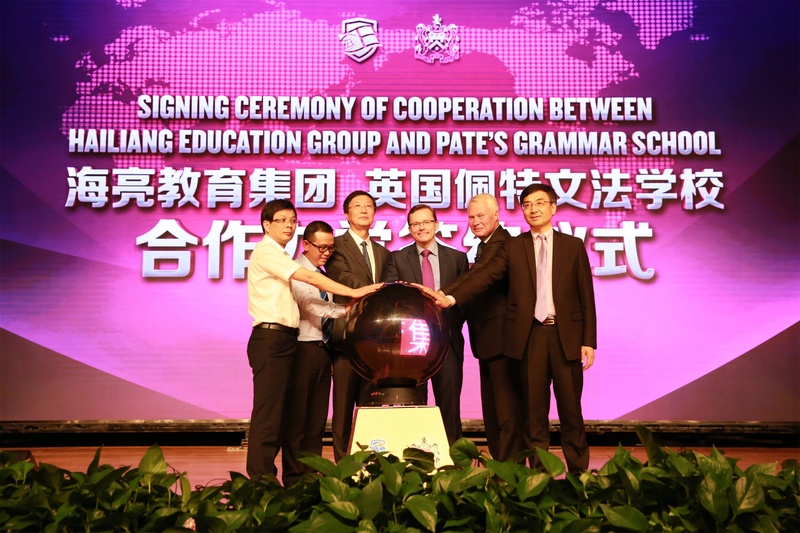 HANGZHOU, China, September 8, 2017 /PRNewswire/ -- Hailiang Education Group Inc. (Nasdaq: HLG) , ("Hailiang Education" or the "Company"), a provider of private K-12 educational services in China, today announced that its affiliate, Hailiang Foreign Language School ( the "Hailiang School") has entered into an Cooperation Agreement (the "Agreement") with ELS American Education Consulting (Shanghai) Co, Ltd., a wholly owned subsidiary of ELS Educational Services, Inc. (ELS), to offer the ELS English for Academic Purposes (EAP)®Program marking the beginning of a strategic partnership between the Company and ELS. With this Strategic collaboration, ELS will tailor its globally recognized EAP Program at the School, adapting the curriculum to suit the availability of students through their high school program. ELS will extend to offer its expertise, proprietary text books, technology lab for individualized learning support, course outline, lesson plan and globally standardized evaluation systems along with teacher training and on-site academic oversight of the program. 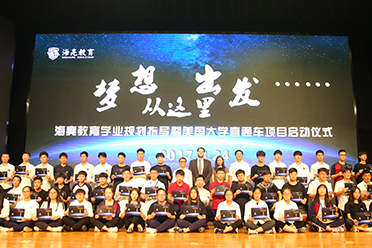 On August 24, 2017, the grand opening ceremony of Hailiang Education's latest project "Pathway to Universities in the United States of America" was being held in Hailiang Education Park, along with the establishment of Hailiang Education Academic Guidance, once again marking a breakthrough for China's biggest private education group, holding the olive branch with the world's top education nation - United States, establishing a 2+2 program in US community colleges. The Pathway project provides a direct passage for Hailiang students seeking education abroad. During the ceremony, parents expressed great interest in the program, leaving hope and trust in their children to get good education abroad through the channel provided, and gaining a foreign undergraduate diploma even from well known universities. August 22, 2017, NBA championship 2014 winner and finals most valuable player, San Antonio Spurs active striker Kawhi Leonard visited Zhejiang Zhuji Hailiang Education Park’s NBA Elite Taining Center. 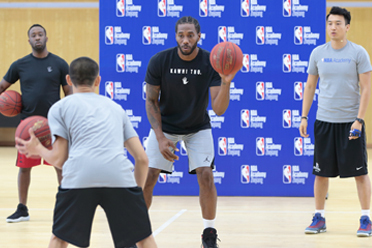 Kawhi visited the venues and facilities of the center, and organized a NBA leveled training course for young players, he personally participated in the training content and had a day full of interactions with the young player.